Scott W. Huth, a native San Diegan, has worked in local coastal communities for more than 28 years. Prior to his appointment at the City of Del Mar, he was the Public Services Director at the City of Coronado. Mr. Huth also served as Chairman of the San Diego METRO Wastewater Technical Advisory Committee of the San Diego METRO Wastewater Joint Powers Authority. 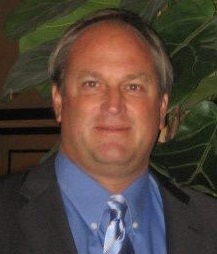 Mr. Huth is a member of the International City / County Management Association, and holds a Master of Business Administration degree from the University of Redlands, and a Bachelor of Arts degree in (Resources and Environmental) Geography from San Diego State University.